An interesting compilation of piano works inspired on argentinean Tango by international composers, from Satie and Stravinsky to Piazzolla, Marlos Nobre and Pablo Aguirre. The soloist presents the result of her hand by hand work with some of the creators, searching for the idea of tango for contemporary piano at the concert hall. An innovative proposal, an interesting encounter: Tango sound from the perspective of 20th and 21st century composers. Works where Tango shows itself or just lets itself be guessed. 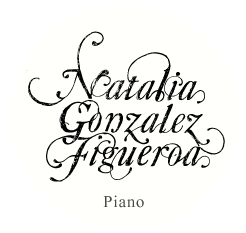 We are proud to announce Tango Malambo Music’s last release MODERN PIANO TANGO by artist Natalia Gonzalez Figueroa. Available worldwide in all online stores.